Friends, meet my new favorite breakfast! 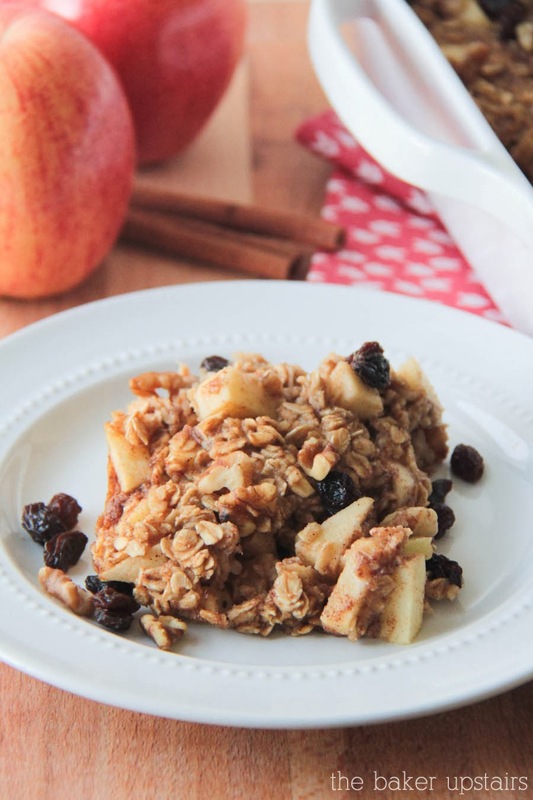 This apple cinnamon baked oatmeal is so good! We had it for breakfast on New Year's Day, and it is a new family favorite. The girls loved it and cleaned their plates, and Geoff and I both loved it too. 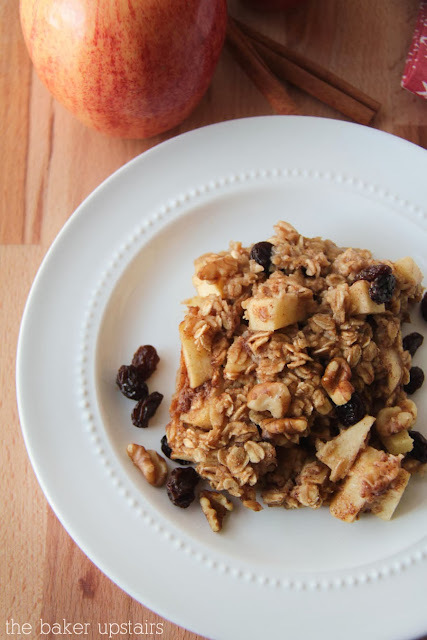 It's the perfect breakfast for a winter morning… warm and filling and delicious. It smelled heavenly while it was baking, too! I love the mixture of sweet apples and warm cinnamony oatmeal. It's perfect comfort food! My girls said it tasted like an oatmeal cookie for breakfast, and I agree. I think it would be a fun recipe to try with other fruits… I'm already imagining a peach coconut version! Preheat oven to 350. Spray a 9 x 9 pan with cooking spray. 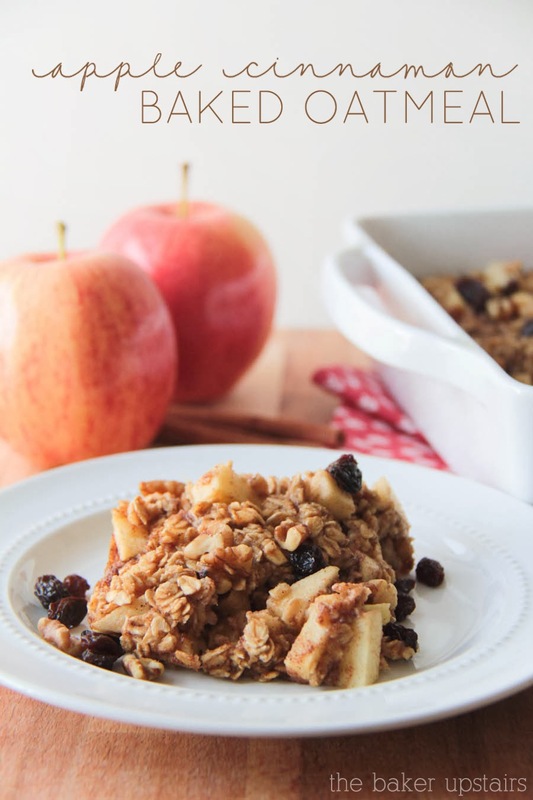 In a large bowl, whisk together oats, brown sugar, cinnamon, baking powder, and salt. In a measuring cup, whisk together milk, applesauce, melted butter, egg, and vanilla, Pour the wet ingredients over the dry ingredients and mix gently until combined. Gently fold in diced apples. Pour into prepared baking dish. Bake 20 minutes, or until golden brown. Remove from oven and sprinkle with toppings. Think I could leave the egg out and just use a little more applesauce? Honestly I have no idea, but I think it's worth a try! I think the egg is supposed to help hold it together, but I'm not sure how much difference it makes one way or the other. Try it and let me know if it works! nine cookies from one amazing recipe!